Visit Vandel Bunker-Museum, it's only 5 km east of Billund (Legoland). The Museum is housed in a 250 m2 big former bunker of the Danish Air Force. The Museum is open every Sunday 12 - 16 from May to September. Entrance: 30 DKK or 4 EURO. Children 0-15 years free. 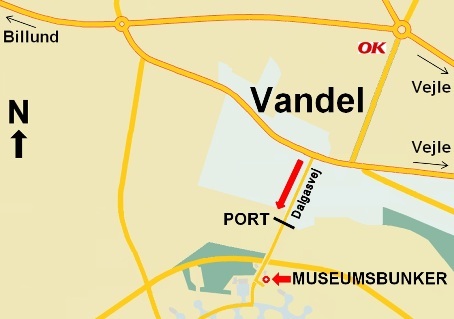 Vandel Bunker-Museum shows the history of how in 1943 the German occupation forces started to build an airfield in Vandel. In order to do so, the expropriated an area of 8.333 acres, whereby approx. 800 people were forced to leave their homes. In the last years of the war, the airfield was build as a strongpoint against increasing Allied bombing raids against Germany and - if necessary - against an Allied landing in Jutland. Luftwaffe left 63 airplanes on Vandel Airfield, of those there were 29 of on of their most efficient fighters Focke Wulf Fw190. The exhibition shows a large number of the uniforms used by Luftwaffe. Furthermore a unique collection of uniforms and equipment employed by the different units of the Wehrmacht during World War II. 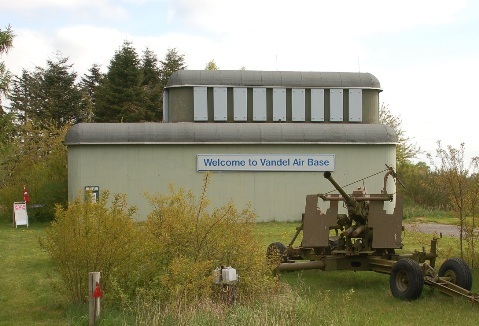 After the war Vandel Airfield has served as a part of the Danish NATO defence. Uniforms from this period are also on display in the Museum.